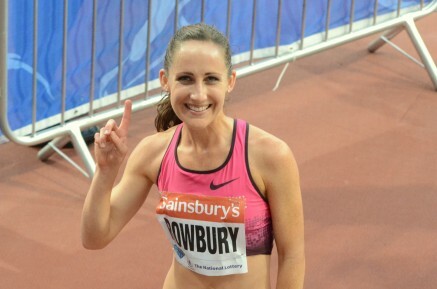 18th January 2015 – World Championship medalists Shannon Rowbury (USA) and Matthew Centrowitz (USA) both began their indoor campaigns in style with double victories at the University of Washington Indoor Preview meet. Shannon posted a world leading mark and PB as she took the 1 mile race in 4:27.86 and also won the 1000m in 2:40.25. On both occasions Nike Oregon Project and PACE teammate Jordan Hasay (USA) finished a close second clocking 4:28.73 and 2:41.08. Matthew began by taking the 1000m in 2:19.53 and then returned to the track less than half an hour later to win the 1 mile in 3:58.60. World Junior 3000m Champion Mary Cain (USA) tested her speed with an 800m and 600m double, winning the 800m in 2:07.21 and placing third in the 600m with 1:30.03. Also in indoor action was reigning NCAA indoor and outdoor 800m Champion Laura Roesler (USA). Running at the Texas A+M Invitational and stepping up in distance she took second in the 1 mile in 4:40.70. At the 33rd Cross Internacional de Italica in Seville, conditions really tested the PACE pair of Timothy Toroitich (UGA) and Magdalyne Masai (KEN). Timothy has raced extensively on the Spanish Cross-Country circuit this season and he is yet to finish off the podium. In Seville, he took third. Magdalyne finished a successful spell of 3 races in two weeks by taking fourth place in the mud and rain that was not to her liking. In Kenya, Frankfurt Marathon Champion Mark Kiptoo (KEN) made a now rare excursion onto the country but still took second place in a highly competitive Kenyan Defence Forces Cross-Country Championships.